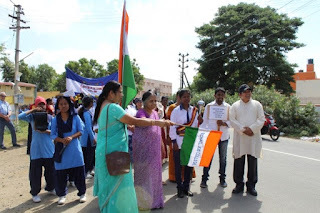 The rally was attended by the MJC trustees and a few delegates both, from India and abroad. About 300 students of MJC participated in the rally. Dr. Mary Job, Chairperson of MJC Educational Institutions flaged off the rally. 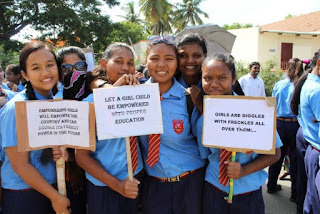 Ms. Anitha, Principal MJC School delivered a speech on “Empowering the Girl Child through Education” to the assembly of students before the rally began. This is quite what I require. I have never thought the choice council gives careful thought in online networking like that. It's lucky that I have elegant profile in easy community. The blog was totally hard to believe. Lots of surprising info and it can be helpful in a few or the other way. If you are looking for a new pan then you can apply new pan card here in a small procedure.